Police have arrested an eighth suspectin last week’s stabbing deathof a 15-year-old boy outside of a New York bodega in what’s believed to have been a case of mistaken identity. Elvin Garcia, 23, of the Bronx was taken into custody Tuesday night for the murder of Lesandro “Junior” Guzman-Feliz, who was filmed being pulled out of the store by a group of men on June 20 who then slashed him to death on the sidewalk. The deadly attack on the boy, a member of the New York Police Department Explorers program, has generated extensive coverage by the city’s media outlets. Kevin Alvarez, 19, was arrested over the weekend in New York and charged with second-degree murder, manslaughter, gang assault and assault. 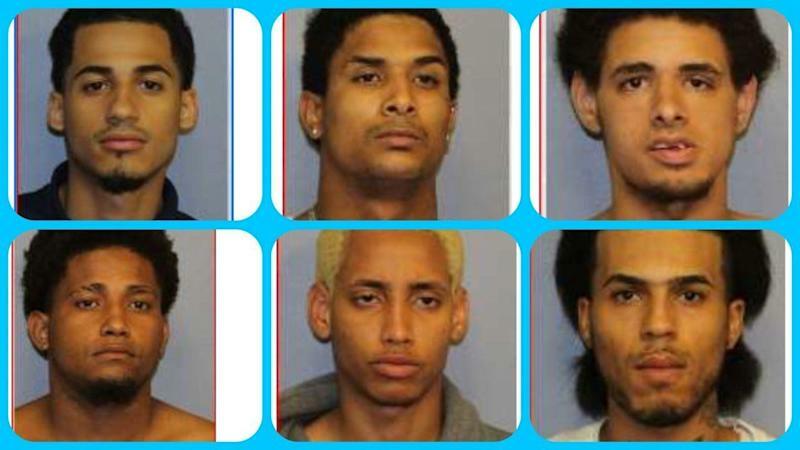 Six suspects were arrested in Paterson, New Jersey, on Sunday. They have been identified as Jose Taverez, 21, Manuel Rivera, 18, Danel Fernandez, 21, and Santiago Rodriguez, 24, all of the Bronx; Jose Muniz, 21, of Paterson; Joniki Martinez, 24, of Freeport, New York. From top left: Danel Fernandez, Joniki Martinez, Jose Muniz. From bottom left: Santiago Rodriguez, Manuel Rivera, and Jose Taverez. The suspects are believed to be members of the Dominican gang, Trinitarios. They were allegedly “hunting” for rival gang members in the Bronx when they came across Lesandro, who they believed to be in a gang, The New York Times reported, citing investigators in the case. Lesandroune "Junior" Guzman-Feliz, 15, was fatally stabbed on a sidewalk in New York on the night of June 20. Lesandro’s mother,speaking to ABC 7,described her son as “a good kid with a good heart” who dreamed of becoming a police detective one day. Pallbearers, most wearing matching New York Yankee jerseys, carry the casket at the funeral service on Wednesday for Guzman-Feliz. His family asked that the public boycott the bodega where her son was attacked. They blame the store’s employees for failing to come to his aid, based on the surveillance camera that filmed the attack. The store has since closed its doors amid the brewing outrage. 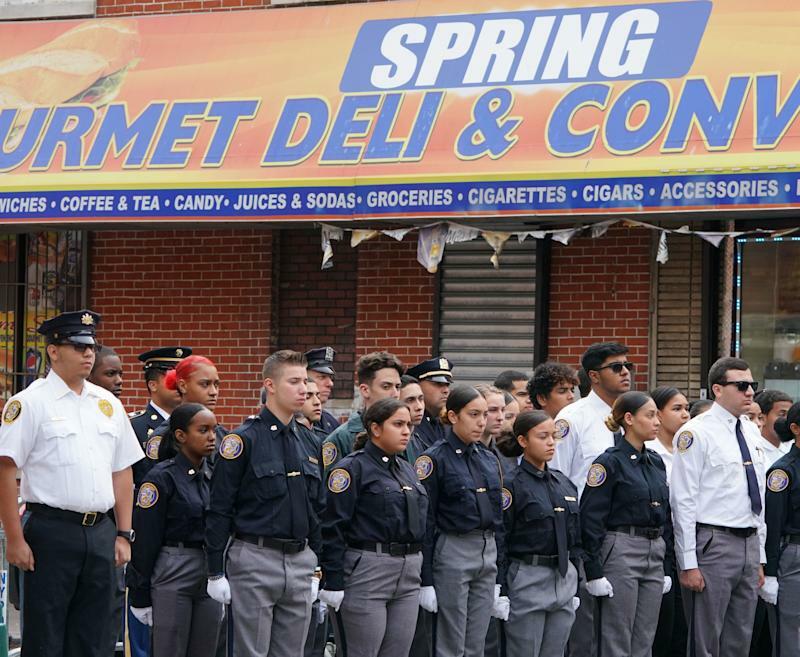 Members of the NYPD Junior League stand outside of Our Lady of Mount Carmel in the Bronx on Wednesday ahead of the funeral for Lesandro Guzman-Feliz.